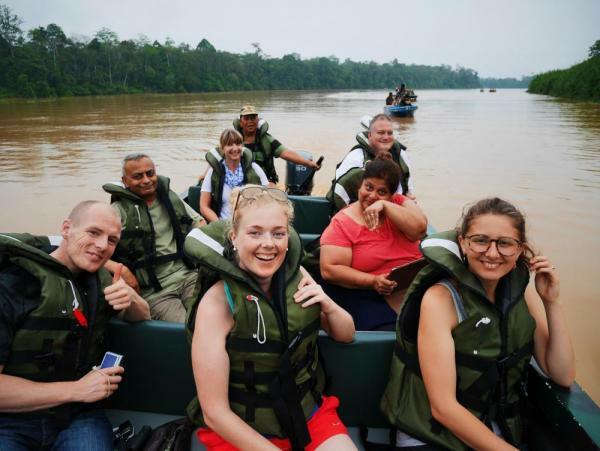 Experience the best of Borneo - Mount Kinabalu and the wild Bornean rainforest! 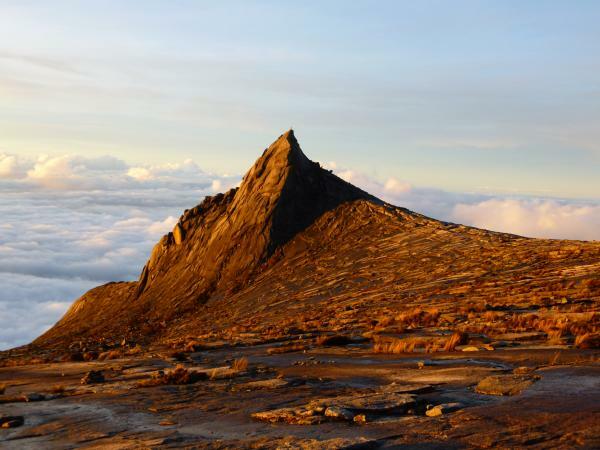 Conquer Borneo and Malaysia's greatest peak, Mount Kinabalu. As you hike up to13,435 feet, search for the world's biggest flower, pitcher plant, and moth - all found on Mount Kinabalu! Stay overnight on the mountain before making your way to the summit early the third morning for a once-in-a-lifetime experience of seeing the sunrise high above the clouds. Continue on to explore the jungles of Borneo from the incredible Sukau Rainforest Lodge, one of National Geographic's Unique Lodges of the World. Spend the next three days with your naturalist guide in search of pygmy elephants, orangutans, proboscis monkeys, and rhinoceros hornbills. 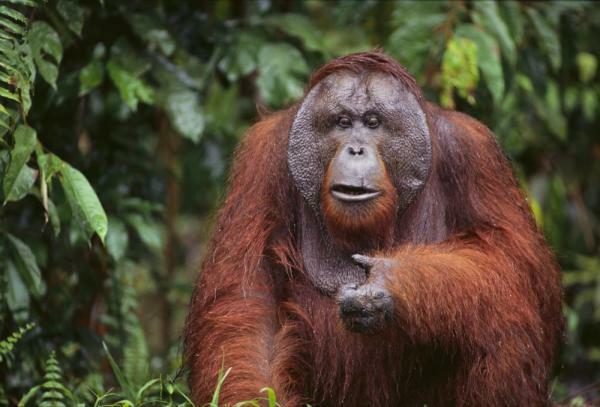 Witness Bornean pygmy elephants and orangutans in the wild! Arrive today in the capital city of Kota Kinabalu. 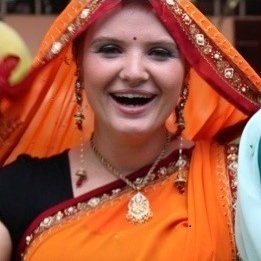 Meet your guide at the airport and transfer to your hotel. 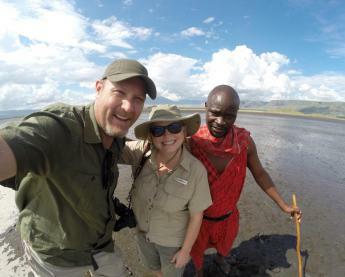 Meet your guide this morning and drive 2 hours overland (55 mi.) from sea-level to the foothills of Mt. Kinabalu at 5,000 feet. Make a short stop along the way at the Nabalu market to savor local fruits. As you wander the market stalls, peek through the trees to catch a glimpse of the impressive Mount Kinabalu towering on the horizon. Arrive at Kinabalu National Park this afternoon, home to over 6,000 plant species, of which 1,000 are orchids. 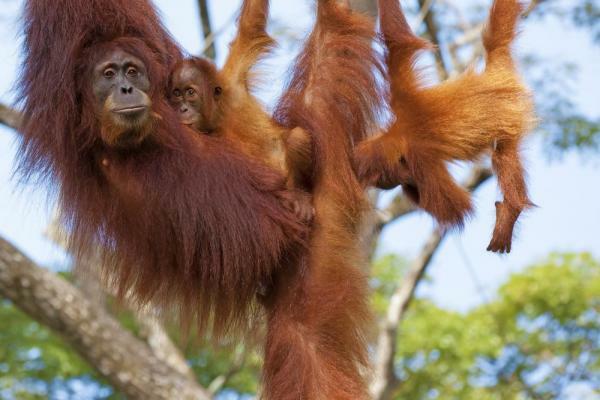 The majority of Borneo's mammal, bird, amphibian, and invertebrate species are also represented within the park, creating one of the most biologically diverse places on the planet and rightfully claiming UNESCO World Heritage Status. Visit the Education Centre and Mountain Garden in Kinabalu National Park with your guide, then head to your hotel for a good night's sleep before beginning your climb. Temperature at the park is around 14°C - 25°C. Wake this morning to the sound of the montane rainforest, listening for the calls of one of Kinabalu National Park's 326 bird species. Meet your certified mountain guide and porter and drive to the trailhead at Timpohon Gate, 6,000 feet above sea level. Climb for 4 - 6 hours, hiking into the higher cloud forest and eventually ascending into the alpine meadows, finally arriving at the Laban Rata Resthouse. This dormitory-style refuge clings to Mount Kinabalu at 10,700 feet, providing a half-way point on your journey to the summit and a cozy atmosphere to gather your strength for the next day. Take in the spectacular view while you eat a hot meal after a long day of hiking. Don't forget to look around for some of the carnivorous pitcher plants along the trail! Temperatures tonight range from 50°F - 65°F. Start your ascent at 3 am to reach the summit in time for the sunrise - a view you never forget. While the sun peeks above the sea of clouds, watch Borneo come to life as daylight takes hold. At 13,435 feet, you are standing on the highest point between the Himalayas and Papua New Guinea. Take photos and soak up the view, then return to Kinabalu National Park Headquarters for late high tea. 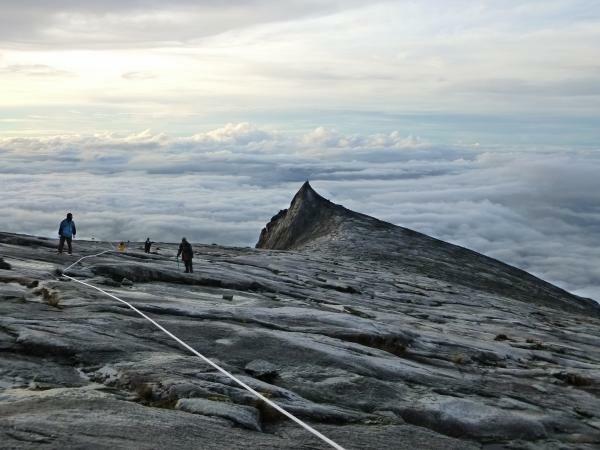 Enjoy dinner tonight in Kinabalu National Park, and a cool night's sleep in the lower mountain temperatures. Say goodbye to your hiking guide this morning and begin the 5-hour overland journey to the multi award-winning Sukau Rainforest Lodge, one of National Geographic's Unique Lodges of the World. Cool down with a refreshing drink and cold towel upon arrival. After checking in, take a few moments to savor afternoon tea and then (time permitting) head out into the wild on your first river safari. Every boat is equipped with eco-friendly outboard engines (used along the main river where the current is strong) and a silent electric motor (used during wildlife viewing in the small tributaries) in search of wildlife and birds. 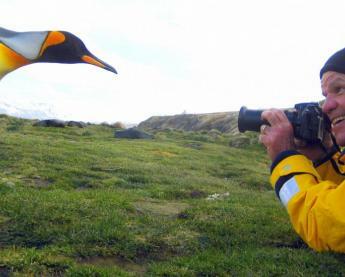 Your position on the river is perfect for photographing mammals, birds and amphibians along the river bank. Return to the lodge for a candlelight buffet dinner overlooking the mighty river. Be sure to try on the Malaysian sarong found in your room so you can dine in style! Dinner is followed by a slide show and interpretation by your in-house naturalist guide. Stay overnight at the Sukau Rainforest Lodge. Rise this morning to the sound of a traditional Bornean gong and prepare to catch the rainforest as it wakes up. 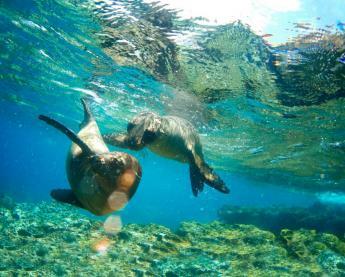 After a light breakfast, embark on a morning river cruise in search of mammals and birds that are most active in the early morning hours. 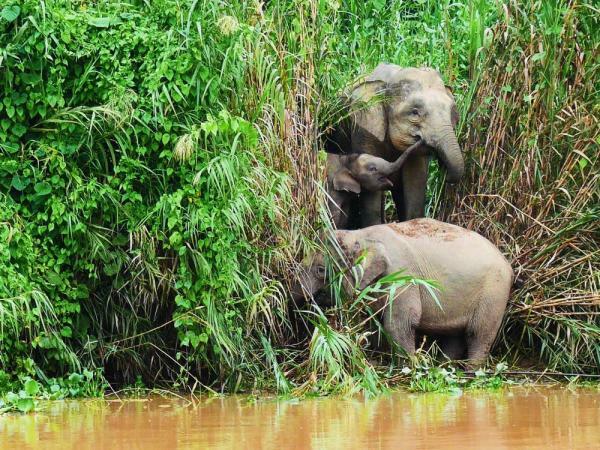 Keep your eye out for the shy Bornean pygmy elephant on your way to the Kelenanap Oxbow Lake. Return to the lodge and enjoy a full breakfast on the deck, taking time to immerse yourself in your wild surroundings. 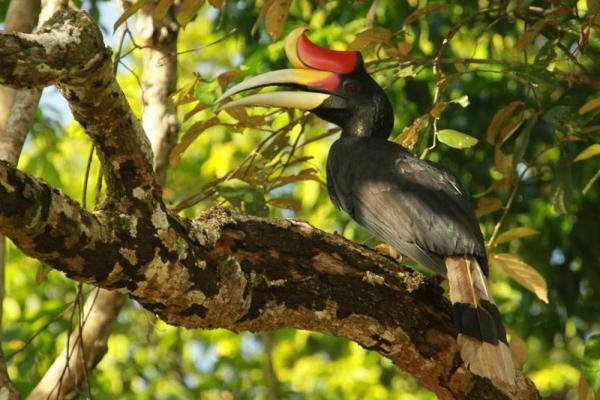 After breakfast, continue on an educational walking tour along the lodge's Hornbill Boardwalk with your naturalist guide. If you're itching for more activity, the lodge has many optional activities such as a pampering foot spa treatment, Batik Painting for the family, or a refreshing plunge in the Dip Pool. Following afternoon tea, head out onto the river once again in search of rhinoceros hornbills, blue-eared kingfishers, and pig-tailed macaques. Breathe in the rainforest as you return at sunset from your river cruise. Enjoy a candlelight dinner and overnight at Sukau Rainforest Lodge. After breakfast, board a speedboat for a 2 1/2 hour journey downriver to the city of Sandakan. 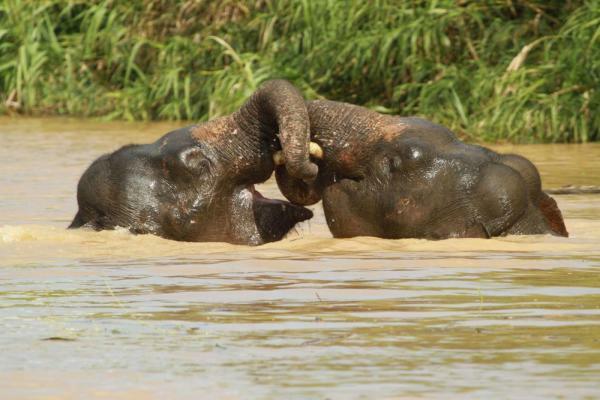 With luck catch another glimpse of the Bornean pygmy elephant on your way downriver! Upon arrival in Sandakan, visit the Sepilok Orangutan Rehabilitation Centre where you can learn about the plight of the orangutan and local conservation efforts. A short ten-minute stroll through the rainforest on wooden boardwalks takes you to the viewing platform where you can witness recovering orangutans devour local fruits and interact with one another. If the great apes are feeling particularly friendly, you may even get the chance to see them up close, so be sure to hang onto your belongings! Continue to the newly completed nursery for young orangutans. Transfer to the Sandakan airport for your evening flight. Set inside UNESCO World Heritage Ssite Kinabalu National Park, the Hill Lodge provides easy access to hiking trails and a perfect view of Mount Kinabalu's summit. At 5,200 feet, the lodge provides a cool night's sleep in private chalets. Set in the heart of the city of Kota Kinabalu within 15 minutes from Kota Kinabalu International Airport and walking distance to the famous Gaya Street “Sunday Market”, Atkinson Clock Tower, shopping malls, restaurants and bars, and the nightly fish market. The Laban Rata Resthouse is a climbing refuge that clings to Mount Kinabalu at 10,700 ft., providing a half-way point on your journey to the summit and a cozy atmosphere to gather your strength for the next day. Take in the spectacular view while you eat a hot meal after a long day of hiking.